An eastern screech owl was brought to CROW on January 16, 2017 from Fort Myers. The nestling is believed to have fallen from its nest with no signs of obvious injuries. 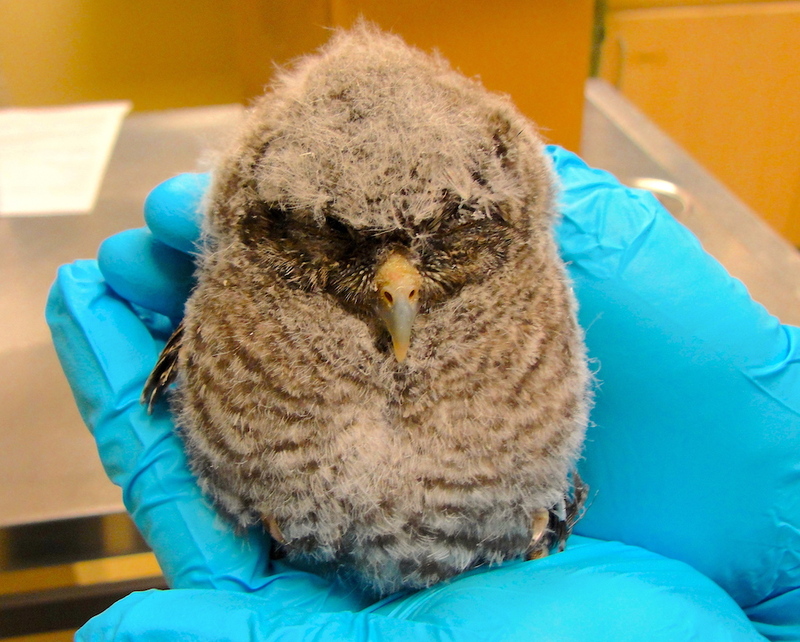 The owl will receive supportive care until its old enough to be released. 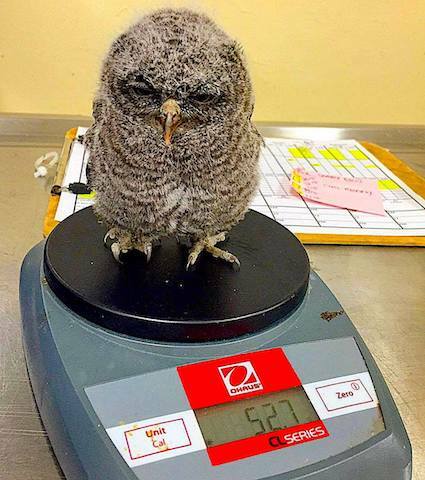 The screech owl nestling is eating 5 times a day and gaining weight. It will continue to receive supportive care until it is old enough to be released. 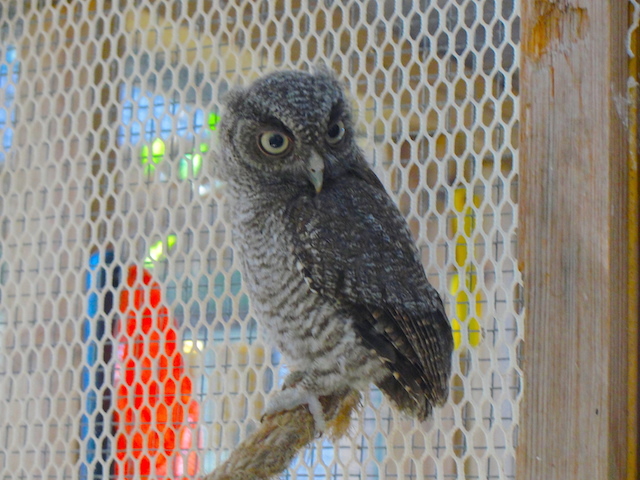 The screech owl continues to remain bright, alert responsive and has been moved to the outside enclosure. While outside, the owl has been eating and flying great. The screech owl continues to do well in the outside enclosure and is eating well on its own. It perches on the same perch and has been seen flying and is overall doing well. After spending over two months being raised at CROW, the owl was released near San Carlos Park, FL.